1. 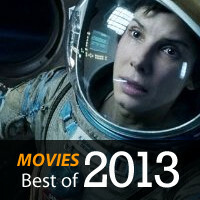 Gravity – A thoroughly divisive film. Sure, there’s a lot to criticize. But it was a transcendent movie experience unlike anything else I’ve seen in the cinema. If you can still find it in a theater, go. It will lose much of its power at home or worse on an iPhone. 2. 12 Years a Slave – The most emotionally powerful film of the year. Like most Holocaust movies, not a film I need to see twice. But what an incredible story put so amazingly on celluloid. Wish Brad Pitt hadn’t cast himself though – it was distracting. 3. Short Term 12 – I know you haven’t heard of it. Go find it. Brie Larson easily should have been a nominee with this performance. You don’t need to know anything before seeing it other than it works on pretty much every level. 4. American Hustle – Right from the opening credit, “Some of this actually happened,” it was clear this was going to be a lot of fun. And it was. The clothing, wigs, accents, plot, acting – all just pure absurdist entertainment. My one reservation: While Jennifer Lawrence is just amazing, she was too young for the part. 5. The Wolf of Wall Street – The companion to American Hustle. I didn’t try and derive moral lessons from these terrible people. I just enjoyed myself. Leonardo DiCaprio was so fantastic and I even liked Jonah Hill in this film. Go for the little people and the coke, not for life lessons. 6. Her – I might have liked it more if it didn’t seem so possible and realistic. Joaquin Phoenix and Scarlett Johansson were perfect. And does anyone doubt the talent of an unrecognizable Amy Adams after this film? 7. Captain Phillips – My appreciation for the film was marred by the numerous reports that no one else remembers the events this way and Phillips in real life is a jerk. But Tom Hanks again proved he is Gary Cooper for our generation in carrying a film as an everyman. “I’m the captain now” might be my favorite movie quote of 2013. 8. Fruitvale Station – Because I knew the true case that this movie is based on, I watched it with anguish and dread. But the same is true of Gandhi. The ugliness of racism was so well played off the humanity of Oscar Grant. 9. 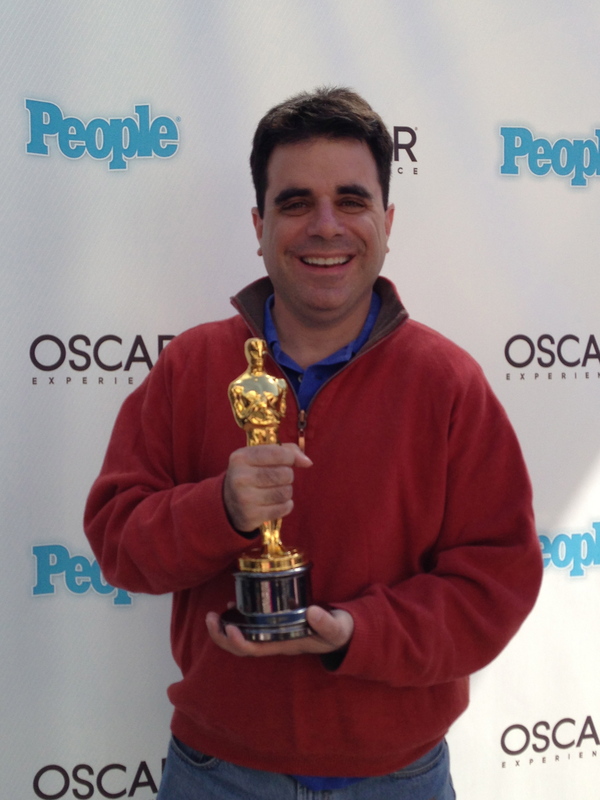 Philomena – I didn’t want to see this film as I figured it was going to be predictable and dull. Steve Coogan, Jeff Pope, and Judi Densch deserve such credit for the writing and acting. Never expected this film about stolen children in Catholicism to include Judaism, homosexuality, and Republican politics. 10. Saving Mr. Banks – I had hoped this film would be a little better (clearly the Oscars did too), but my love for all things Disney (except the anti-Semitism) and for Mary Poppins won me over in this charming based-on-reality fable. I could have done without ANY of the flashback/Colin Farrell parts. Now I want a Sherman Brothers musical film with BJ Novak and Jason Schwartzman. 11. Don Jon – Joseph Gordon-Levitt can do little wrong in my eyes. How he can play this Italian meat head and be a sensitive, sweet nerd in real life is a credit to his talent. Wish ScarJo’s character was a little less of a JAP stereotype. 12. Enough Said – Between James Gandolfini’s death and my general boredom with romantic comedies, I had low expectations. This may be the best “mature” RomCom since Something’s Gotta Give in 2003. 13. Nebraska – I adore Alexander Payne films, most especially Election and The Descendants. And while the acting and creativity here are top notch, the film’s plot just didn’t capture me as his other films have. 14. 42 – I didn’t think they could make this story work on screen. They did. Special kudos to Alan Tudyk who is so lovable in most everything and here played a virulent racist baseball manager so effectively. 15. The Way Way Back – Poorly titled and marketed, it had too much overlap in the leads with Little Miss Sunshine, and Sam Rockwell’s performance was advertised like he was Bill Murray in Meatballs. But a great cast, especially unknown Liam James, made this the best teen-centered film of the year with lots of adult stuff in it too. 16. 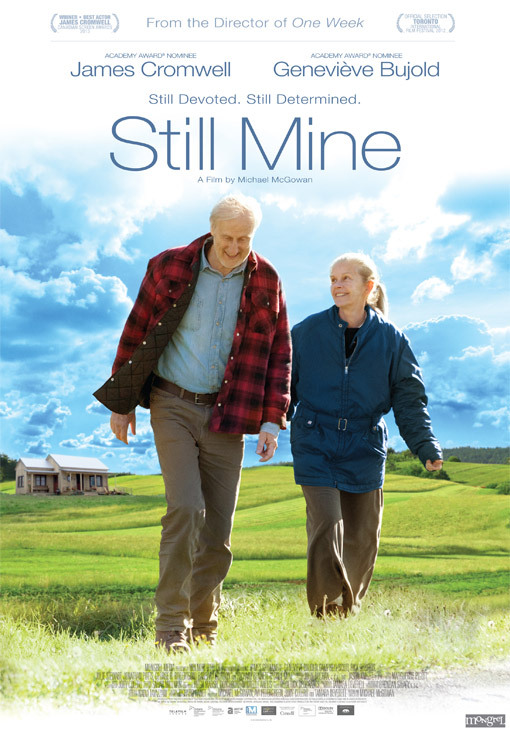 Still Mine – I would never have gone to see this film under normal circumstances. But it was part of a film series I did this summer. James Cromwell is a gem of an actor (and a huge left-wing activist in real life). This film totally made cry. 17. All Is Lost – Robert Redford deserves almost all the credit for making this wordless, minimal plot sea adventure into something compelling and memorable. 18. Warm Bodies – Usually more popular and big budget fare makes my list. 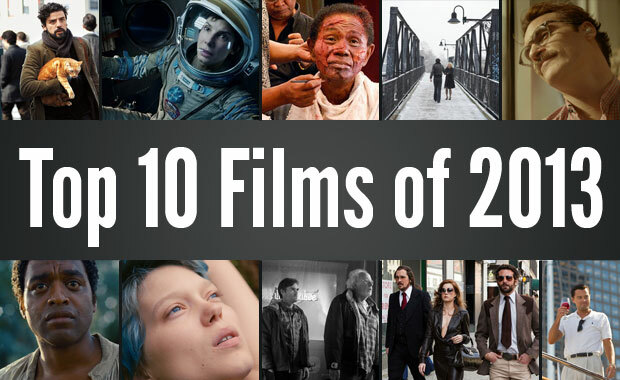 This year, only 2 such films and ranked down at 18 and 19. The Superhero movies I usually favor weren’t up to scratch this year and Frozen was the best of the animated films, but didn’t break into the top 20. I don’t like zombie movies, but this undead romantic comedy is a winner. Doesn’t take itself too seriously and achieves in being very entertaining. 19. The Hunger Games: Catching Fire – Not as good as the first one, but still so enticing with Jennifer Lawrence, Stanley Tucci, and the costumes. I fear for the next 2 as I wasn’t a fan of the 3rd book in the trilogy. 20. 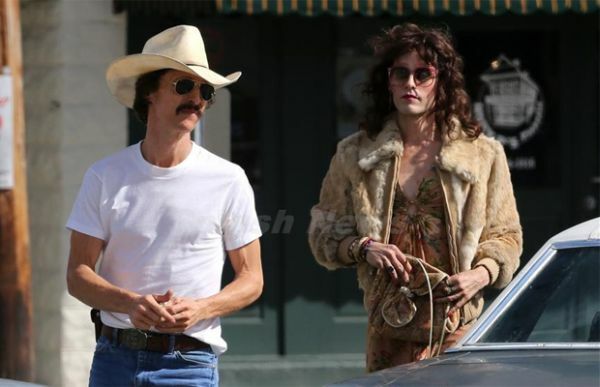 Dallas Buyers Club – There is no doubting the exceptional performances of Matthew McConaughey and Jared Leto. Both will win and deserve to win the Oscar. But the movie itself was slow and dragged. Jennifer Garner is so boring. A mixed bag and still ends up being #20 on my list. Where did I miss? What did I leave out? What am I overrating the merits of? Share in the comments below. This entry was posted in Movies and tagged 12 Years a Slave, 2013, 42, Alan Tudyk, Alexander Payne, All Is Lost, American Hustle, Best Films, Bill Murray, BJ Novak, Brad Pitt, Brie Larson, Captain Phillips, Colin Farrell, Dallas Buyers Club, Don Jon, Election, Enough Said, Fruitvale Station, Gandhi, Gary Cooper, Gravity, Her, James Cromwell, James Gandolfini, Jared Leto, Jason Scwartzman, Jeff Pope, Jennifer Garner, Jennifer Lawrence, Joaquin Phoenix, Jonah Hill, Joseph Gordon-Levitt, Judi Densch, Leonardo DiCaprio, Liam James, Little Miss Sunshine, Mary Poppins, Matthew McConaughey, Meatballs, Nebraska, Philomena, Robert Redford, Sam Rockwell, Saving Mr. Banks, Scarlett Johansson, Short Term 12, Something's Gotta Give, Stanley Tucci, Steve Coogan, Still Mine, The Descendants, The Hunger Games: Catching Fire, The Way Way Back, The Wolf of Wall Street, Tom Hanks, Top 10, Top 20, Warm Bodies. What did you think of Inside Llewyn Davis? Going to rent Short Term 12 this week! Thanks for the recommendation! Inside Llewyn Davis frustrated me. I love Coen Bros. movies. And I loved the music of this, thought the acting was great, but found the story slow and I had limited sympathy for Llewyn. So I liked it, but not in my Top 20. And you? Do you take notes when you watch these films, or make notes soon after? If you just retain all this in your head indefinitely, I marvel at your brain (not that I didn’t already). Don’t mean to be mean, but don’t you think a rabbi ought to concentrate on Torah, or some aspect of Judaism from which your congregants can gain Jewish insight? Do you not owe that to them? What possible benefit can they get from watching all those movies you watched? I guess you don’t believe rabbis should have hobbies outside of work. Right – especially watching 70 movies a year. The time you spend sitting and watching you could be learning Torah, my friend, which surely is more pleasurable, let alone more valuable. What is it you want to teach your followers if not to seek the high road in life? Not sure why you feel the need to judge others. Perhaps you can spend time studying Torah rather than criticizing the hobbies of others?